It can be tough to have good ideas and run with them. But is the world really in need of another Kickstarter campaign for an item that’ll help you conceal your public drinking? Apparently so, because here is The Boozie: The Hoodie with a Secret. That secret is that the otherwise normal looking hoodie has two ten ounce flasks concealed in the hood. What’s not a secret when you’re wearing The Boozie is that education was a secondary concern for you during your college years. 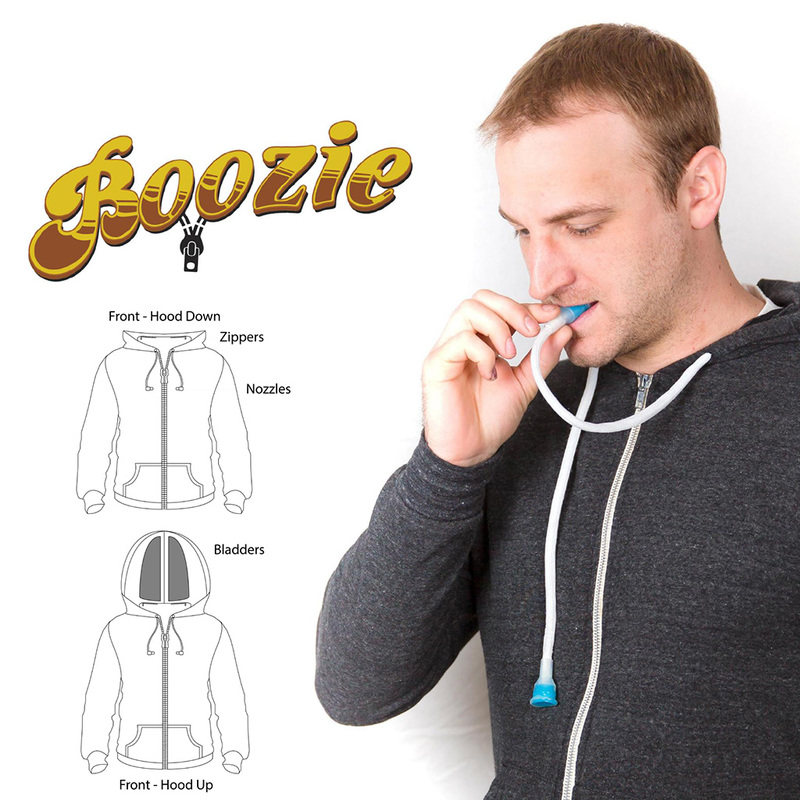 According to the product’s Kickstarter site, “The clever part of the Boozie is in the way you consume the liquids. The unassuming hoodie drawstrings that dangle down in front of the wearer are actually the straws from which your liquid is dispensed. With 26 days left to go in its campaign, the Boozie is well short of its $50,000 goal, having raised under $6,000 as of this writing – which is not particularly surprising being that it currently takes a $95 commitment to get a Boozie. Maybe the next Kickstarter campaign we will see will be for rehab pajamas.